Forgot Windows 10 password? Don’t feel frustrated or annoyed. Windows has some handy features that allow you to recover or reset Windows password on your own, for whatever reason you cannot gain access to your user account. Below are listed 4 of solutions for you if you forgot windows 10 password. The problem that how to reset Windows password is related with a forgotten Windows password for most cases. Many users seek for a solution to this question is simply because they forgot Windows password and cannot log into the computer any longer. If you came across a similar problem, you can reset Windows password by using following methods. Whenever you change or create Windows password, there will be an opportunity for you to type a password hint that will help you remember the password. When you enter a wrong password in the Windows logon screen, the password hint will be displayed to remind you of how you made up your password (if you have created one). This is the easiest method to recover a lost password in Windows as far as I know. To in case that others will take advantage of the password hint. This is an easy and effective method but you must have created a Windows password reset disk first, before you lost Windows 10 password. But please note that the password reset disk will only work for the account it was created for and cannot be used to reset the password of another account. To create a password reset disk, you firstly need to log on Windows and enter User Accounts by clicking Start button, Control Panel, User and Family Safety, and User Accounts. Then you can click Create a password reset disk on the left pane (Just as shown on the below picture). A password reset disk wizard will come up, and then you can follow it to create a password reset disk. If you forgot Windows 10 password, boot your computer to enter Windows logon screen. You’ll get the reset password option when you type an incorrect password at the logon screen and press Enter. 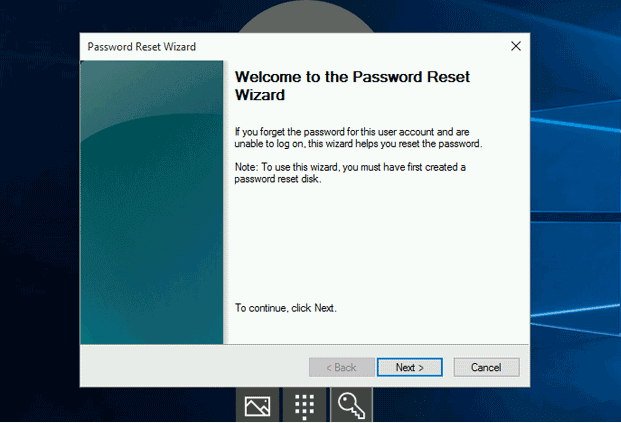 Click on the option and the password reset wizard will pop up to guide you to reset Windows password. Considering that many users never create a password reset disk or system repair disc, here we list option 4 – iSeePassword Windows Password Key Software. The big advantage of this option is that you can reset the password easily in 5 minutes, without doing anything to in case of a lost password, like creating a disk. And it can help you reset Windows password whether you can log on your PC or not. There is plenty of such software on the Internet. 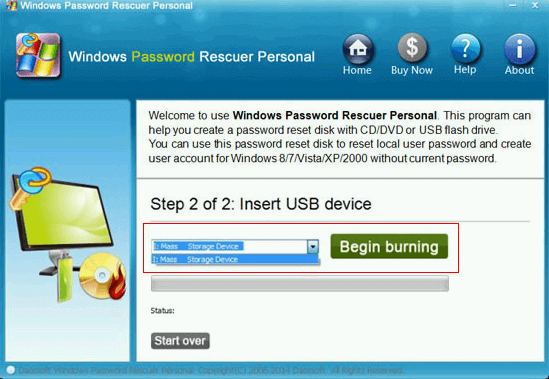 Here we suggest Windows Login Recovery. Download and Install Windows Login Recovery in any accessible computer. Create a bootable CD/DVD or USB flash drive with the software. Set CD-ROM or USB device as the first boot device in BIOS for your PC. 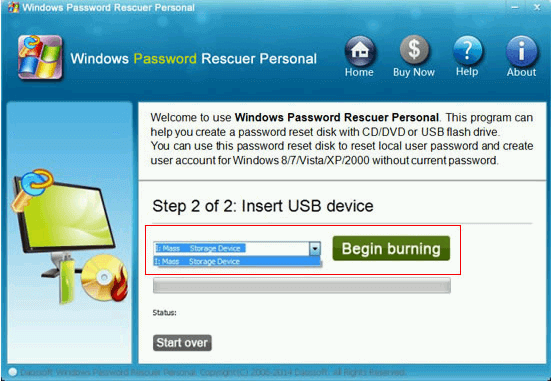 Boot your PC from the created CD/DVD or USB flash drive and reset Windows password. Apart from Create a password reset disk, the System Recovery Options can also help you when you need to reset Windows password. 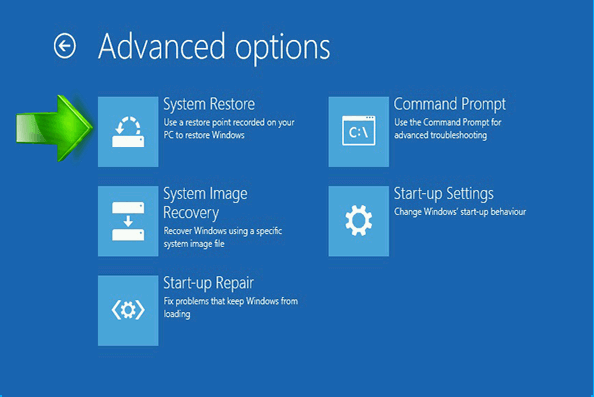 You can either use a Windows installation disc or the recovery options provided by your computer manufacturer to access the System Recovery Options. Of course, you can also create a system repair disc by yourself. Type system repair disc into the search box in the Start menu and press Enter. Insert a CD/DVD into the optical drive and hit Create disc. This creates the system repair disc. To start the System Recovery Options, insert the system repair disc into the optical drive and reboot the PC via the disc. Select your Windows installation from the list when prompted. The System Recovery Options are now displayed. It would be a pity if you did not realize the importance of creating a password reset disk in advance until you lost your computer password. However, this doesn’t mean that you will not be able to fix the problem without such a disk. 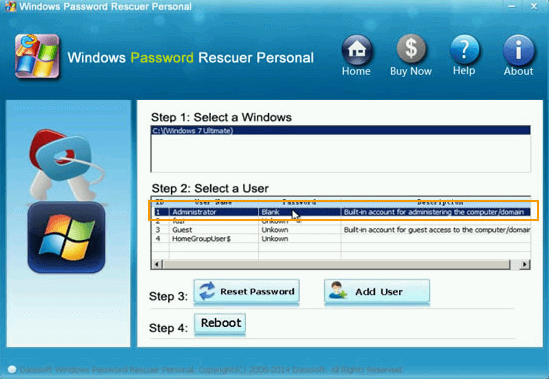 Instead, choosing iSeePassword Windows password recovery software application can achieve the same effect. having a windows 10 password recovery disc is important.